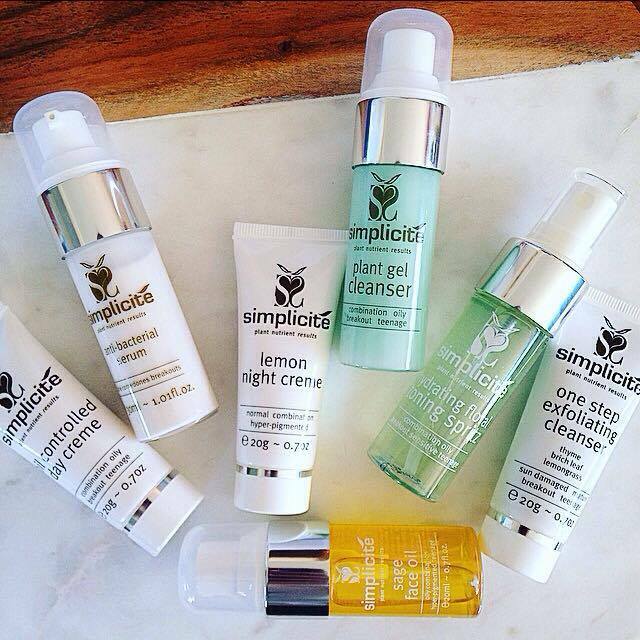 Simplicite Skincare is an Australian made and owned skincare brand that uses only the highest activity certified organic and wildcrafted ingredients to create their products. All products are also cruelty-free and vegan! 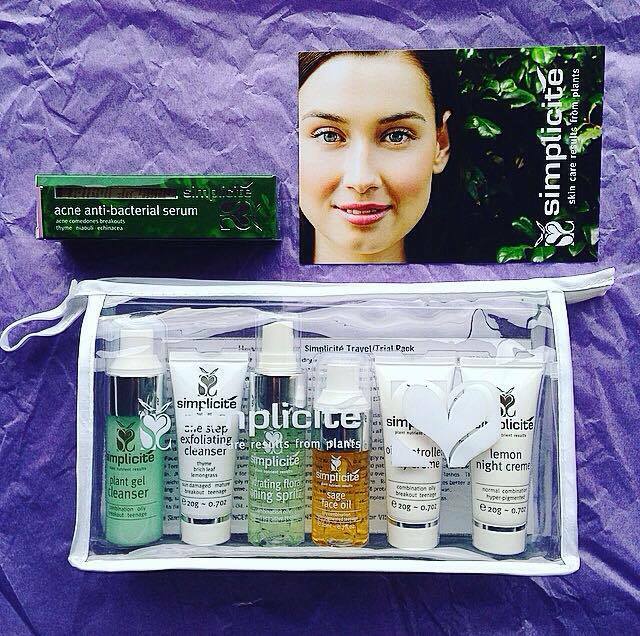 I was recently sent some products from Simplicite to try out and review on my website. I was sent the trial pack for combination and oily skin, and the acne anti-bacterial serum. 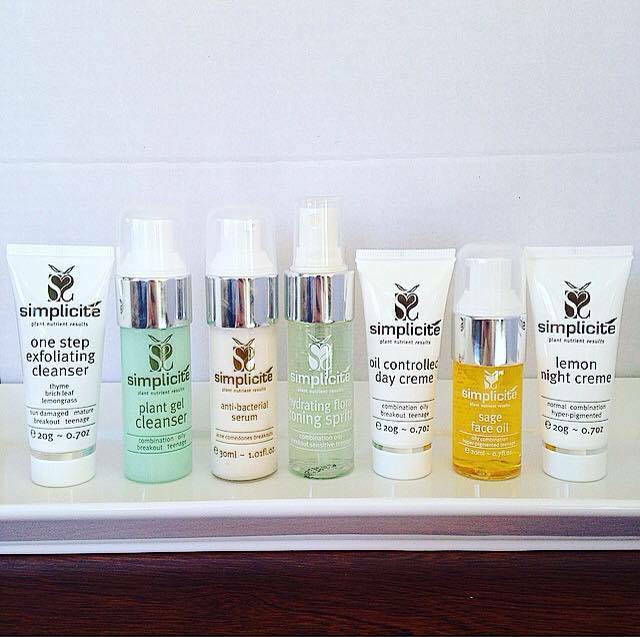 The trial pack contains six of Simplicite's products contained in a cute reusable travel bag. It contains enough product to trial for approximately a month; long enough to tell if you feel the products are suited to your skin. Keep reading below for my full review on each product contained within the trial pack, and the acne anti-bacterial serum. This cleanser has been specially formulated for combination/dry or oily skin. Combining lightly foaming and creme cleansers, it gives a clean fresh feel to oilier skin without stripping moisture. 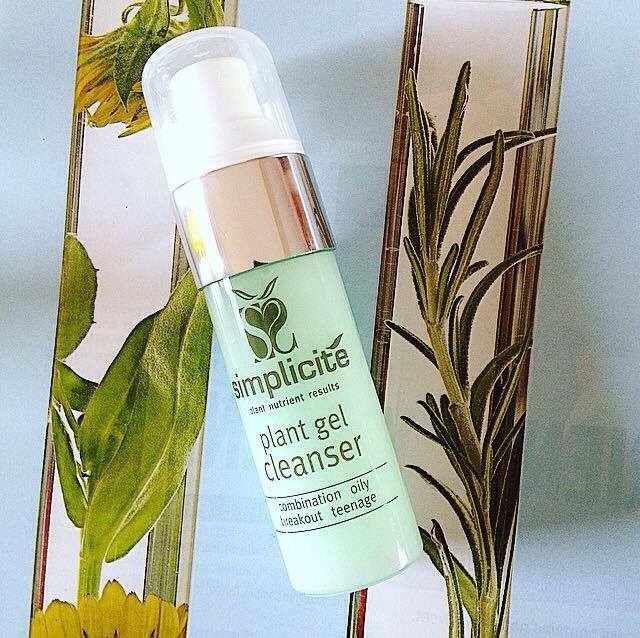 The perfect facial cleanser to help normalise oily skin and reduce breakouts and redness. Full Ingredients: Freshly extracted Aloe Barbadensis juice from Qld (not the usual powder from China), Apricot Kernel Oil, Soya Bean Glycerine, Sodium Laureth Sulphate (from coconut not petrochemicals) and the finest grade extracts of Lavender (France), fresh herbal extract of Witch Hazel (not the clear, alcohol-based version), Sage (Spain), Rosemary (Tunisia), Equisetum, Hypericum (Aust), Carrot (Aust), Cypress (Spain) plus Natural Vitamin E, Chlorophyll, Radish Root Ferment, Sambucus Nigra Fruit Ext, Gluconolactone (found naturally in fruit), Sodium Benzoate and Potassium Sorbate (both food preservative), CI 42090*, Curcumin. I use two pumps of this cleanser on my damp face of a night. I find this cleanser to fully remove all makeup and grime. It foams up and leaves my skin feeling so fresh and clean, and surprisingly, it doesn't dry my skin out! I recommend this to anyone looking for a gentle foaming cleanser that thoroughly cleanses without stripping the skin. It also does not sting my eyes, as lots of cleansers do. This product can be also used by men to shave with (it would be too expensive to use this to shave your legs/body with ;)). This cleanser is a must-have for acne prone and teenage skin. One Step Exfoliating Cleanser is a antioxidant-rich, effective facial exfoliator that cleanses, brightens and refines the complexion using microfine cinnamon particles as well as 14 other concentrated plant extracts. One Step Exfoliating Cleanser is perfect for all skin types and is gentle on even the most sensitive skin. 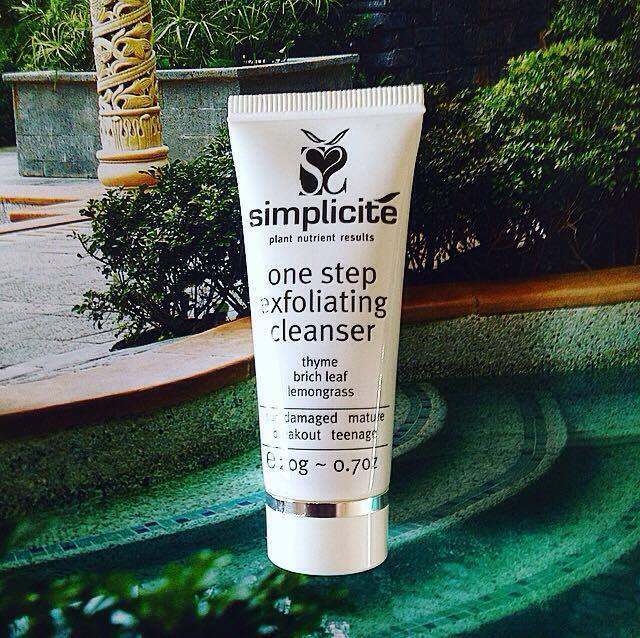 Gently exfoliates while refining pores at the same time; hence 'One Step'. Full Ingredients: Purified water, Cinnamon (Sri Lanka), Sweet Almond Extract (Australia), Cocobetaine (from Coconut), Avocado Extract (Australia), Coleseed Ext, Cocos Nucifera Glycerides (from plant source), Violet Leaf Ext, Thyme Ext, Birch Leaf, fresh herbal extract of Witch Hazel (not the clear, alcohol-based version), Rosemary (Tunisia), Grapefruit (USA), Lavender (France), Lemongrass (India), p-Anisic Acid (from aniseed), Gluconolactone (found naturally in fruit), Sodium Benzoate (food preservative). I personally use this exfoliator once or twice a week. Congested/acne prone skin types can use the exfoliator everyday, as according to Simplicite, this gentle scrub will not microscopically cut or scratch skin unlike many physical exfoliators do. This exfoliator is so creamy and lovely, and I find it nice and hydrating on my skin. I gently roll the product over my skin to ensure that I don't damage my skin in any way (something I do with all physical exfoliants). You can really feel this working to clean out your pores and feel the increased circulation of blood flow into your face from the cinnamon, which results in rosy cheeks and a clearer complexion. A facial toning lotion ideal for combination/dry, oily skin. Infused extracts of fresh herbs and flowers hydrate, tone and refresh. Our toning lotion comes in a spray bottle for an easy and refreshing application. Natural saponins give the best absorption of face oils and serums. Full Ingredients: Purified water, Fresh Lavender Extract (France), Fresh Rose Petal Ext (Australia), freshly extracted Aloe Vera Barbadensis juice (not the lifeless dried powder from China), Fresh Witch Hazel Ext (not the clear, alcohol-based version), Fresh Chamomile Ext (France), Fresh Cornsilk Ext (Egypt), Fresh Angelica Ext, Olive Leaf Ext (Australia), Peppermint Ext (Australia), Thyme Ext (Australia), Niaouli Ext, Rose Geranium Ext (Kenya), Polysorbate 20 (from corn syrup) Radish Root Ferment, Sambucus Nigra (Elderberry), Gluconolactone (found naturally in fruit), Sodium Benzoate and Potassium Sorbate (both food preservatives) Citric Acid, Tumeric, Chlorophyll, *Cl 42090. If you are on the lookout for a refreshing floral toner, this one might be up your alley. I use this after cleansing, to help my face oils and moisturisers penetrate better. It smells like roses and lavender, and is so refreshing. It applies easily, dries quickly, and doesn't leave skin sticky. It can also be used to set makeup, or for freshening up anytime throughout the day. 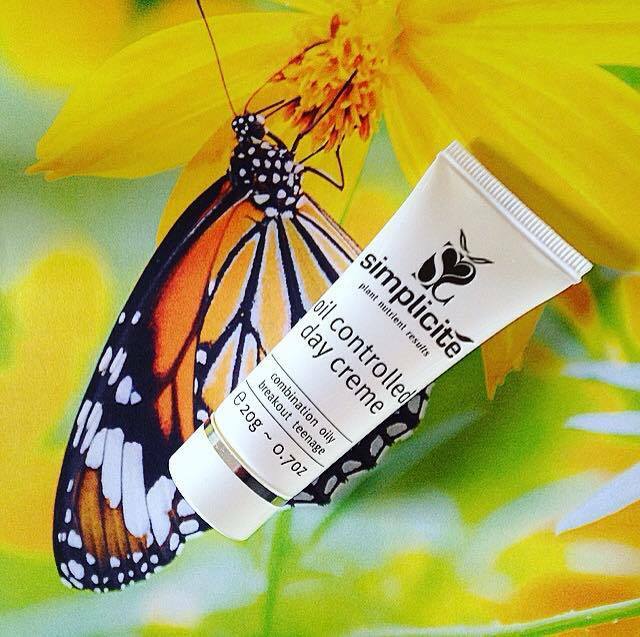 The Oil Controlled Day Crème is the perfect moisturiser for combination/dry, oily skin. It is specifically designed to soothe and minimise the drying out of problem skins. As with all Simplicite products, our Oil Controlled Day Crème is made from a powerful combination of freshly extracted, medicinal grade plant extracts to help balance even the most problematic skin. Full Ingredients: Purified water, herbal Cornsilk extract, Soya bean Glycerine, Caprylic/Capric Triglyceride (moisturising, sustainable coconut source), Glyceryl Stearate (sustainable palm source), Cetearyl alcohol (white of coconut source), Ceteareth 20 (white of coconut source), freshly extracted organic Aloe barbadensis juice from Qld (not the usual powder from China), Herbal extracts of Burdock, Hawthorne Berry, Nettle, Yarrow, St John's Wort (Australia); Essences of Lemon (Australia), Mandarin (Australia), Rose Geranium (Kenya), Lavender (France), Lime, Hyssop, Sage (Spain), Petitgrain (Egypt), Parsley, natural vitamin E, Radish root ferment, Sambucus nigra fruit extract, Gluconolactone (found naturally in fruit, Sodium Benzoate and Potassium Sorbate (both food preservatives), Citric acid. This moisturiser is so light but hydrates my dry skin so well, despite the fact it can also be used by oily skin. It is non greasy and didn't break my skin out, something that a lot of moisturisers tend to do with my skin. It has a light citrus scent and is the perfect product to wear underneath makeup. I love how this moisturiser balances skin types, whether you are oily or dry. It absorbs quickly and leaves my skin feeling nourished. 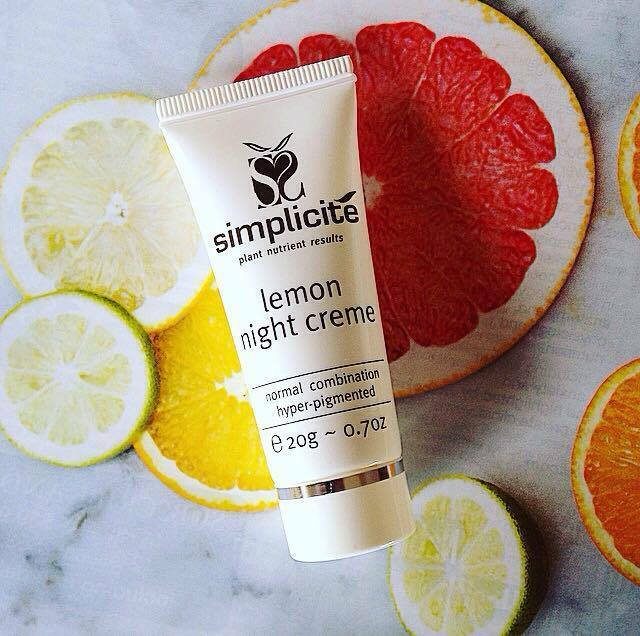 The Lemon Night Creme is a nourishing and hydrating night moisturiser that has been formulated to be equally beneficial for all skin types. The powerful combination of 13 freshly extracted, medicinal grade plant extracts helps to brighten and firm the skin. It delivers powerful results, while still being gentle on your skin, all natural and made with certified organic ingredients. Full Ingredients: Purified Water, Soya Bean Glycerine, Caprylic/Capric Triglyceride (sustainable coconut source) Glyceryl, Australian Avocado, Australian Lemon, Grapefruit (USA), Lemongrass (India), Cedarwood (Morocco), Clary Sage, Pumpkin Seed, Sesame, Carrot, Rose Geranium (Kenya), Natural Vitamin E, Linseed Ext, Petitgrain, Marjoram, Calendula, Bergamot (Italy), Sweet Orange, Sage Peppermint, Radish Root Ferment, Sambucus Nigra Fruit Ext, Gluconolactone (found naturally in fruit), Sodium Benzoate and Potassium Sorbate (both food preservatives). This night crème is slightly thicker than the day crème. It is perfect for my dry skin and smells delicious; like lemons. It is so nourishing and leaves my skin looks firmer and glowing. Using this moisturiser, along with the rest of the range, has really made my skin appear healthier and heal my acne scarring much faster. The Sage Face Oil uses a combination of fine-textured plant oils and extracts to deeply rehydrate and keep pores clear as well as help reduce acne scarring. It also minimises the formation of blackheads and pimples through its all natural, medicinal grade formula. It is ideal for all skin types and is also helpful for reducing hyperpigmentation. Full Ingredients: Jojoba Oil (Argentina), Wheatgerm Oil (USA), Australian Sweet Almond Extract, West Australian Sandalwood Ext, Sage Ext (Spain), Rosemary Ext (Tunisia), Australian Lemon Ext, Lavender Ext (France). I love how multi-purpose this product is. I use this product as a pre-cleanse to help break up makeup and remove it easier. 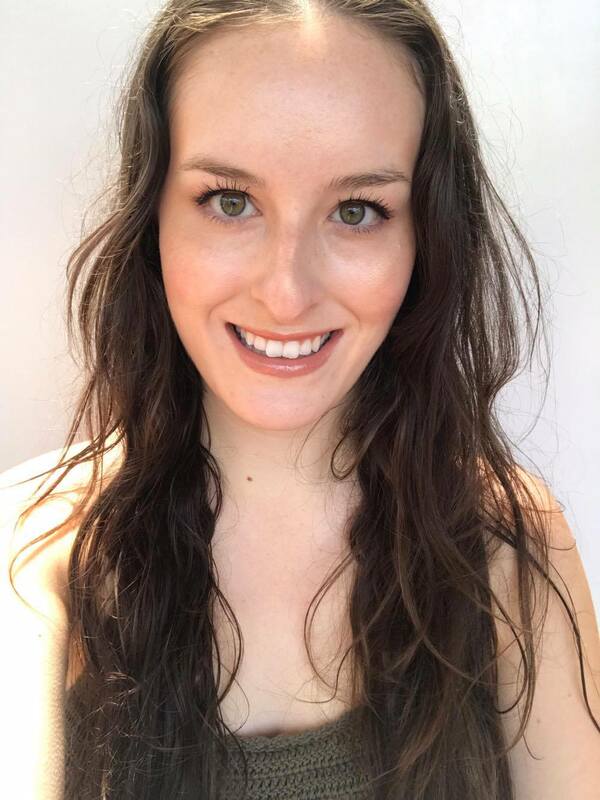 I follow up with the gel cleanser and have the cleanest skin ever. I also massage this into my skin if I find it needs more moisture after I have applied my moisturiser. This oil really brings back the moisture to my dry skin, however, I recommend this to oily skin types as well. This oil naturally will reduce acne, balance skin and fade scarring. A powerfully concentrated and natural skin treatment that kills bacteria that causes acne and breakouts. Acne Antibacterial Serum will not dry out the skin as most skin treatments for acne do. It reduces acne redness and swelling and is also an effective treatment for rosacea 'pimples'. It contains a synergistic, powerful combination of 9 freshly extracted, medicinal grade plant extracts. Full Ingredients: Thyme Extract (Australia), Alfalfa Leaf Ext (Australia), Echinacea Purpurea Root Ext (USA), Equisetum Herbal Ext (Albania), Rosemary (Tunisia), Melaleuca Leaf Ext (Australia), Cypress Leaf Ext (Spain), Niaouli (Madagascar), Radish Root Extract, Sambucus Nigra Fruit Ext, Gluconolactone (found naturally in fruit) Sodium Benzoate and Potassium Sorbate (both food preservatives). I knew this serum was going to be something great after reading the reviews on this on the site and seeing the ingredients list. 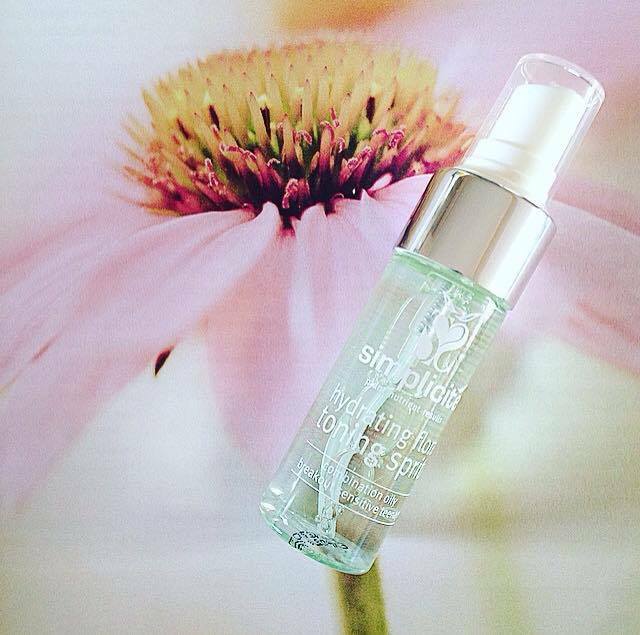 This serum contains amazing plant blemish busters such as thyme, melaleuca leaf and rosemary. This serum needs to be applied two to three times daily to get results. This serum helped heal my skin, and reduced the amount of acne that formed by killing the bacteria. 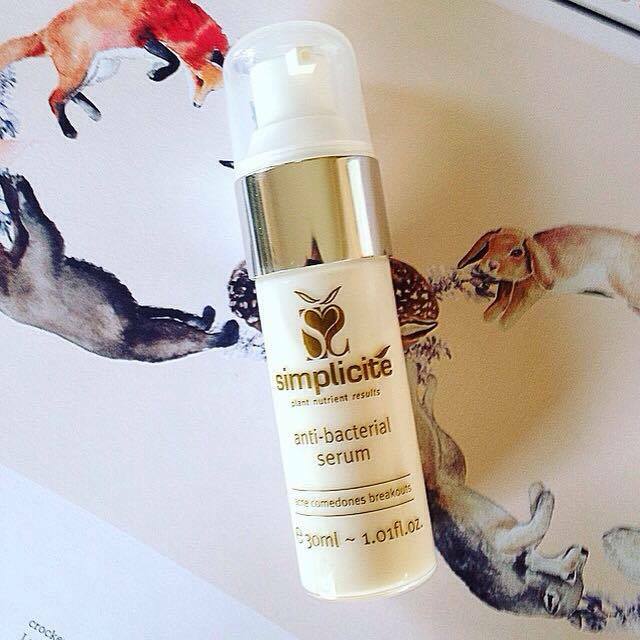 This serum is a thin liquid that absorbs into the skin quickly and wears beautifully underneath a moisturiser. It has a strong herbal scent, which may not be to everyone's taste, but I loved it. I would really recommend trying Simplicite out. They have trial packs for all skin types, which I think is a great way to try their products out. I also believe in trialling the complete range of products from a brand, as the products have been designed to have a synergistic effect when used together. 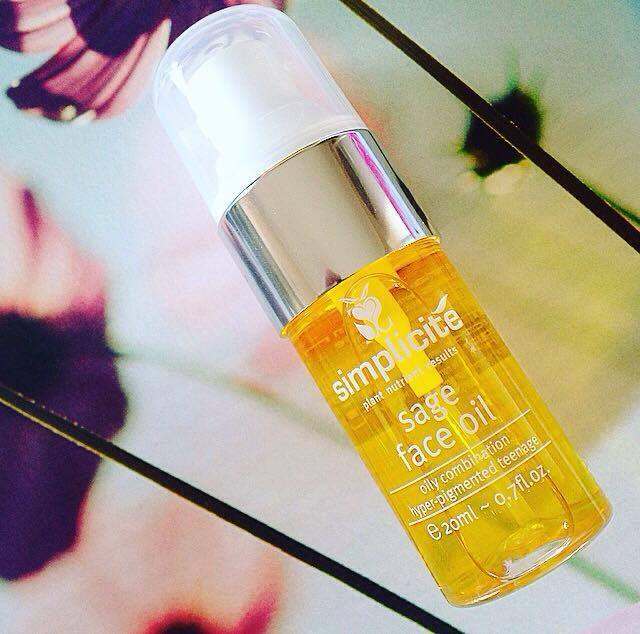 For more information or to grab Simplicite's trial pack, check out their website here.